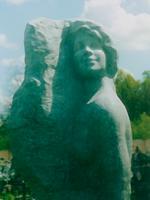 Arnold Lolaev makes to order unique memorial monuments and sculptural images. The Gravestone monument is a product of a sculpture or the small architectural form intended for memory to a died. Therefore the most durable materials are applied to manufacturing gravestones - monuments from a granite, a natural stone or stone compositions. Author's works of the sculptor are a worthy ornament of last haven of the person and reflect respect. 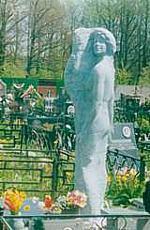 Monuments, whith Arnold Lolaev is created, are established in Moscow on some cemeteries.